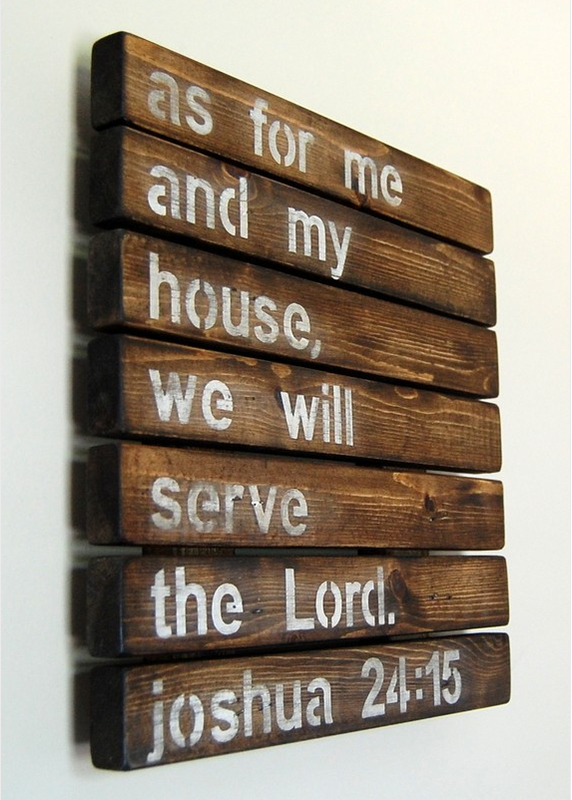 I love the rustic slats used as the basis for this bold scripture. I also love that it uses all lowercase letters. For some reason that is always appealing to me. Perhaps it appeals to that rebellious side of me that enjoys breaking the rules of the English language by creating my own words. Nevertheless, I must have this for my kitchen! To purchase visit The Simple Standard. This entry was posted in Quotes and tagged Bible verses, God, Joshua 24:15 on January 31, 2012 by thelookbookphilosophy.